Girl is NOT a 4 Letter Word: Jordyn Barratt - Role Model. Jordyn Barratt - Role Model. Love it when we see girls in skateboarding helping to get other girls stoked on the sport. 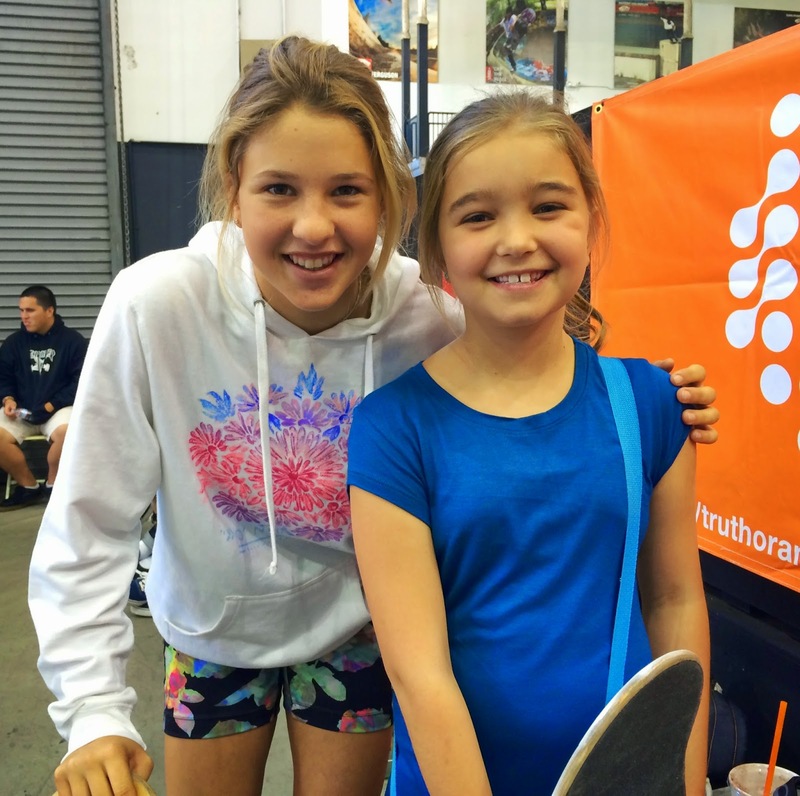 Jordyn Barratt was at Van Girls Combi competing, yet took time out of her training schedule and comp day to be a mentor and friend to a little girl named Callia who is just getting started skateboarding. Joryn heard that Callia wanted some autographs on contest day so she took one of her old boards, sprayed it white and brought it to Vans so Callia could take it around and get autographs on it. 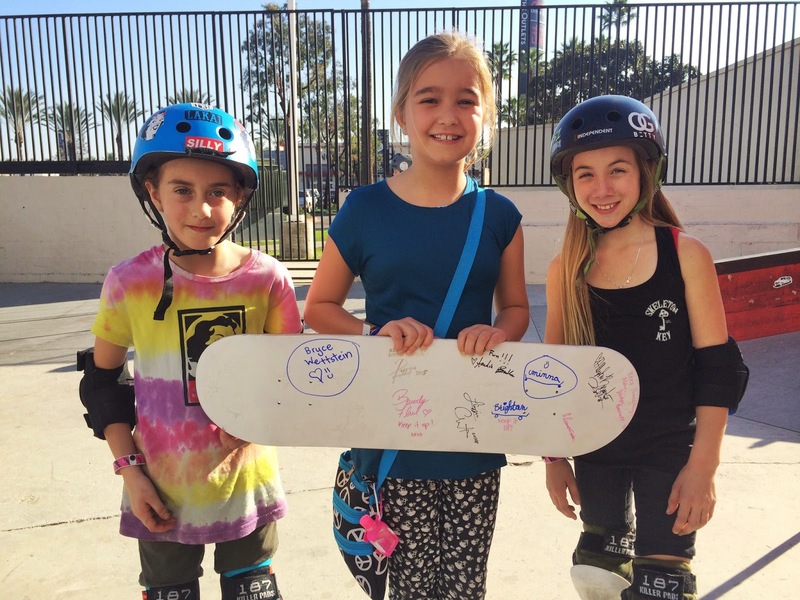 That in itself was a huge deal - but then Jordyn walked Callia around the pool deck and introduced her to skaters like Amelia Brodka, Mimi Knoop, Lizzie Armanto and more, to help her get autographs. Every single girl there was super nice and signed Callia's board which made her day. I even watched little Minna Stess and Brighton Zeuner tell Callia how much fun skateboarding was and how they hoped she would keep skating. Keeping other girls stoked on skateboarding is what will help grow the sport, & it's really nice to see a top skater like Jordyn taking the time to be such a great role model. Callia will remember this forever and she is even more stoked on skateboading than she ever was thanks to Jordyn's kindness & the time the other girls took to sign her board.